Ms. Becky grew up in Woodbridge, VA where she began studying ballet with Linda DelMonte of Linda's Ballet Workshop Inc. She was chosen as one of the first members of the studio's performance group, Fifth Position, and at age 14, was selected as an assistant teacher for the school's Adapted Ballet class for children with special needs. 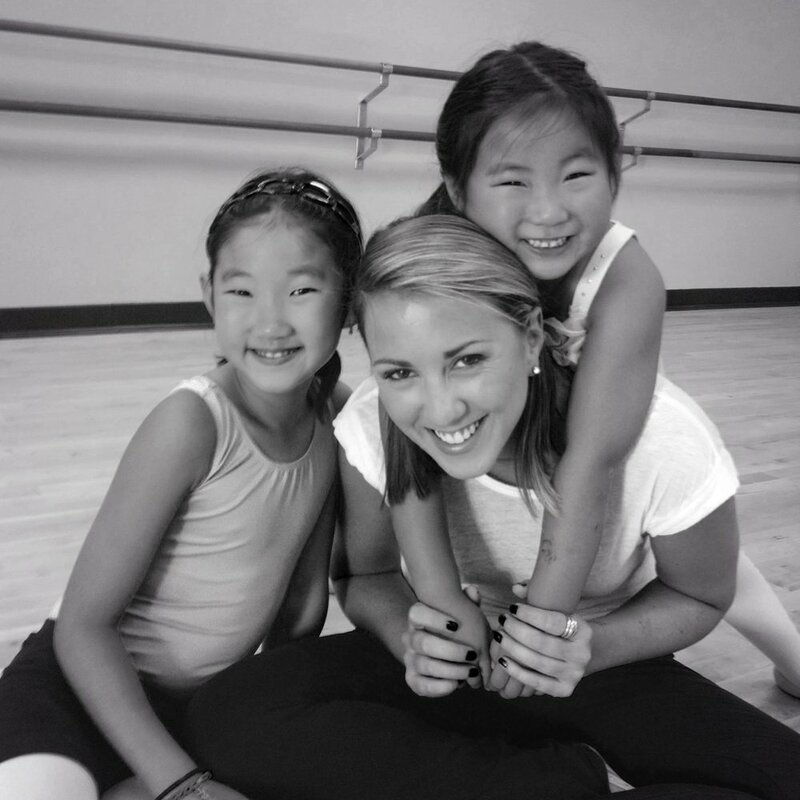 In the summer of 1999, Becky was awarded a teaching internship with Maryland’s Ballet Petite. Soon after, she began teaching full time for the school in the areas of Ballet, Creative Movement, and Musical Theater style Jazz. She served as the Artistic Director for Dance Upon a Dream in Potomac, Md. from 2004 - 2006. Becky has choreographed numerous pieces for performance groups and dance competitions all along the east coast, traveling to stages in Walt Disney World, Fl, and The National Zoo in DC. In the summer of 2003 she attended The Dance Educators of America’s Teacher Training School in Las Vegas, NV, and is a Level II Certified Member of the DEA. Becky has had the pleasure of taking classes with world-renowned teachers such as Charles Kelley, Raymond Lukens, David Scala, Twyla Tharp, and Luigi. She is also certified by the American Red Cross in Adult and Pediatric First Aid/CPR/AED. Becky has been teaching for 16 years in the DMV area, specializing in jazz, ballet, lyrical, creative movement, and pre-tap. She is excited to now be directing her own program in her home of Washington, DC. Ms. Mikayla was born and raised in Cocoa, Florida. At age 16, Mikayla began working as a Pilates and dance instructor at the Renaissance Academy of Performing Arts and Dance. Her passion for performance and storytelling led her to Coastal Carolina University where she received a B.F.A in Acting. She is a founding member of Boots on the Ground Theater Company—a theater company with an emphasis on service to our community and to each other. Upon graduation, Mikayla continued working as an instructor with students of all ages. She was particularly excited to work with the youngest of her dancers because they dance without inhibition. They dance from their hearts. She looks forward to the joy of dancing with her new students at Studio One Dance! Miss Sadye is a junior at School Without Walls High School in Washington DC, and attends the Washington School of Ballet for her dance training. She has been dancing herself since three years old, and thoroughly enjoys being a part of class every week. Sadye’s favorite parts of assisting are the conversations that she has with the students, and sharing in something that they love. Besides dance, some of her other passions include photography and baking.